Traditionally the slowest month when it comes to tech news, December saw a flurry of activity as a number of startups managed to get funding rounds over the line before the festivities began. Solar companies were again very much in demand, with Tanzania’s Off Grid Electric raising a US$25 million round, as well as earning a US$5 million grant from USAID. Kenyan pay-as-you-go solar startup M-KOPA Solar raised US$19 million in the same month. It wasn’t just solar startups that cleared up in December. Kenyan addressing startup OkHi raised US$750,000, as did Nairobi-based instant messaging service Ongair. Another Kenyan company, Kopo Kopo, raised US$2.1 million to push its merchant micro-loan product. South African startups were on the fundraising trail too, with adventure marketplace Gummie raising funding and relaunching its site, and mobile shopping startup MySidekick raising US$280,000. GamezBoost and Eventerprise also raised, as did Nigeria’s Showroom.ng and Rwanda’s Mergims. There will be more to come in terms of funding for African tech startups in 2016, with developments in December further boosting that. Nigerian incubator Co-Creation Hub (CcHub) partnered Venture Garden Nigeria and Omidyar Network to launch a US$5 million social innovation fund, while Chinese instant messaging company WeChat launched a US$3.5 million fund for African tech startups looking to launch on the WeChat platform. Meanwhile, investment firm CrossBoundary Energy announced the first close of a dedicated fund for commercial and industrial solar that will deploy over US$25 million in solar solutions to power African enterprises over the next 18 months, and impact-focused equity crowdfunding portal Malaik launched, aimed at connecting investors interested in impact investment opportunities with African entrepreneurs raising finance. Facebook also continues to be busy, launching its Internet.org Innovation Challenge in Africa. The challenge looks to recognise African developers working on apps, websites and services for learning and economic empowerment and rewarding winners with US$150,000. December was a quiet month on other fronts, with a few standout pieces of news. Nigerian video on demand company iROKO signed a multi-million euro deal with French TV company Canal+, while Kenyan hardware accelerator Gearbox launched its first programme. Barclays completed its first fintech accelerator in Cape Town, signing deals with four startups. 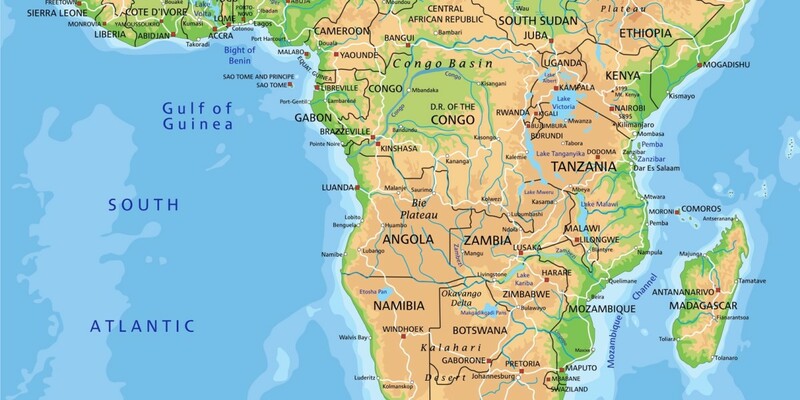 In connectivity news, Liquid Telecom announced it is to build a new undersea cable serving Africa, while operator Tigo launched a 4G service in Tanzania. Google rolled out Project Link wi-fi in Uganda, with Facebook and Eutelsat announcing details of their satellite plans for Africa. Kenyan operator Safaricom launched M-Tiba, a new health payment application aimed at making medical payments easier and more transparent, while Obi Worldphone – founded by former Apple and PepsiCo CEO John Sculley – launched a series of smartphones in Nigeria. Code for South Africa announced Africa’s first data journalism school, taking in its first intake of students.